Our Wall Hooks are always a talking point. 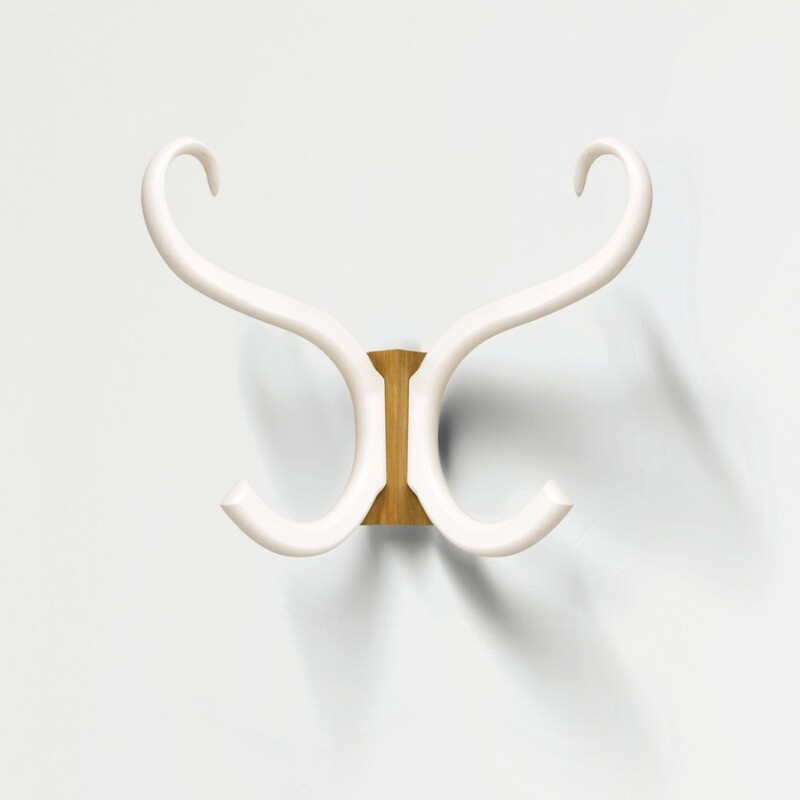 A great accessory for any modern living space – practical when in use and sculptural when not. The simple key slot fixing allows the product to be attached to any flat surface, with hidden fixings to keep it looking neat and tidy. Our Wall Hooks have many applications and have been used in hotel rooms, restaurant walls, office walls, retail changing rooms or for visual merchandising applications in retail shops. 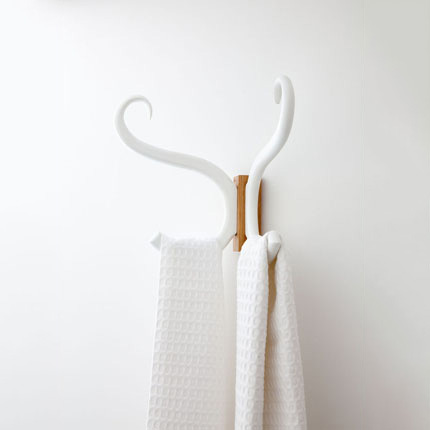 These come in black or white as standard or can be matched to a RAL colour. The stem is available in two natural hardwood timber finishes – walnut and oak. 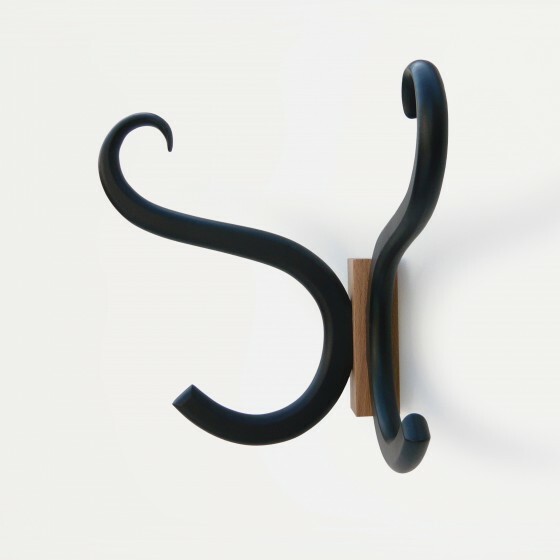 Available in walnut and oak – black or white hooks offered as standard, with bespoke colours available on request.